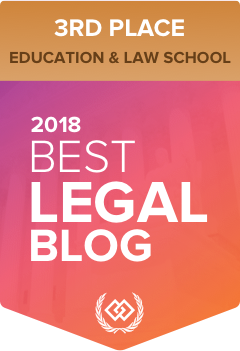 For the second year in a row, we’re thrilled that the Texas Agriculture Law Blog has been nominated as one of the Best Legal Blogs by the Expert Institute! It’s always an honor to be recognized for the time and effort put into the blog, especially when readers were the ones who nominated us. If you don’t mind, please take a moment and vote for us in the Education and Law School category. You can do that by clicking here. Thanks again for your support! Earlier this year, my friend and Texas A&M University alum, Cari Rincker, invited me to join her on her new show, Ag Law Today. Cari and I had a video interview about one of my favorite topics, grazing leases. From why leases should be put in writing to what key terms landowners to consider, I enjoyed the chance to chat with Cari about these important considerations for landowners and livestock producers. To listen to the episode, click here.